1. Understand your health insurance. Millions of Americans purchase health insurance with little understanding of what they're actually buying. They assume that when a medical crisis comes up, they're covered, but that isn't always the case. Take responsibility for your health and read your insurance policy to clearly understand what is and isn't covered, and what your financial responsibilities will be in the event of a major medical event. 2. Become familiar with your employer's policies. The Family and Medical Leave Act is a federal law that has established minimum unpaid leave standards and rights for employees who have health problems, sick family members or who are giving birth to or adopting children. Become familiar with the law and any additional benefits offered by your employer if you are or will be facing a medical situation that may make it difficult to work for a lengthy period of time. If you don't like the way you're being treated or don't believe your physician is providing the best possible care, consider seeing another physician. If you're facing a major medical issue and want to understand all of the treatment options available to you, or to confirm the treatment plan recommended by your primary physician, let your doctor know that you're going to get a second opinion. Good doctors generally welcome further consultation with other doctors. If you seek a second opinion, check ahead of time that it is covered by your health insurance. 4. Consider alternative courses of treatment. In times of a serious or critical illness, ask your physician to explain all potential treatments to you, whether or not your health insurance will pay for them. 5. Understand your right to refuse medical treatment. You have the right to refuse medical treatment. You also have the right to leave a hospital or health care facility against medical advice. If you do so, however, most hospitals and health care facilities will require you to read and sign a form indicating refusal of treatment in order to protect themselves from any future malpractice claims. 6. Bring a trusted friend or family member to your appointments. Invite a trusted friend or family member to join you when discussing your health care with your physician. Medical information and options for treatment can be complex. Having another person listening to your doctor can help you process all the important information and sort out your options. 7. Protect yourself against health care fraud. Groups attempting to defraud the health care system and/or programs like Medicare and Medicaid may be putting your health at risk through bogus treatments and prescriptions. Stick with well-recognized health care organizations and pharmacies, and carefully watch your medical statements for unusual activity. Keep your own records of your health care treatment and make sure to inform your primary physician of treatment you have received from other doctors. Also keep careful records of your children's medical histories, including information about vaccinations, allergies and medications. 9. Consider drafting a health care directive. You may want to hire an attorney to help you complete a health care directive, which designates a trusted person, such as a family member, to make decisions about your health care treatment in the event that you cannot due to illness or injury, including your wishes regarding organ donation. 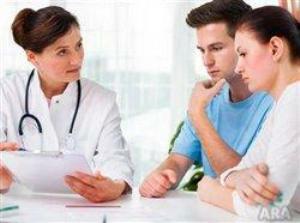 For more information about your rights as a patient, visit FindLaw.com.